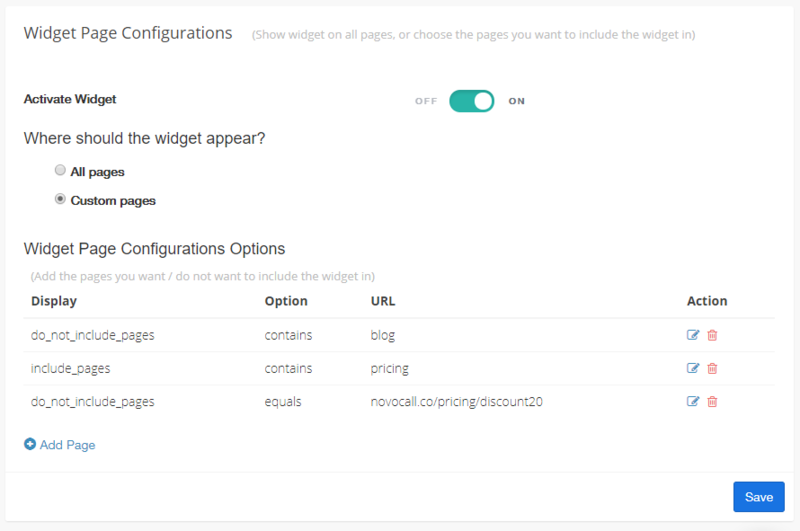 Set custom pages for Callback widget to appear in, and different web behavior that triggers that widget. 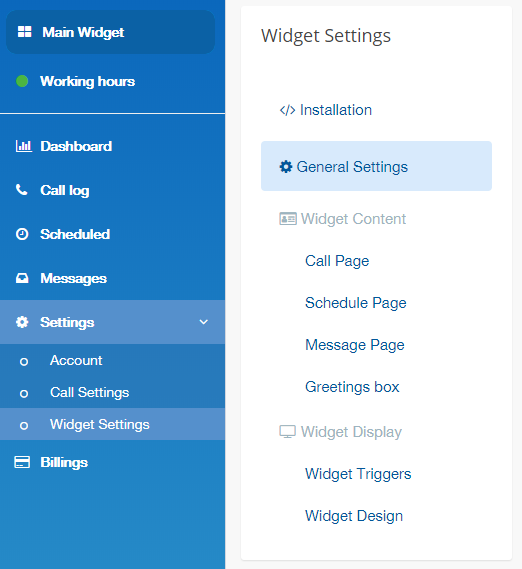 You don't want your widget to appear everywhere, and configuring where your widget appears is an extremely simple step. 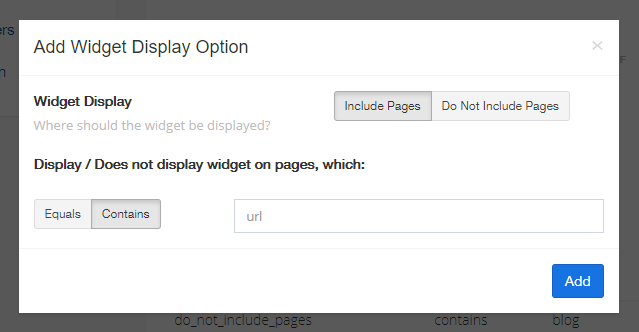 Navigate to "Settings" > "Widget Settings" > "General Settings"
Select Custom Pages instead of the default. 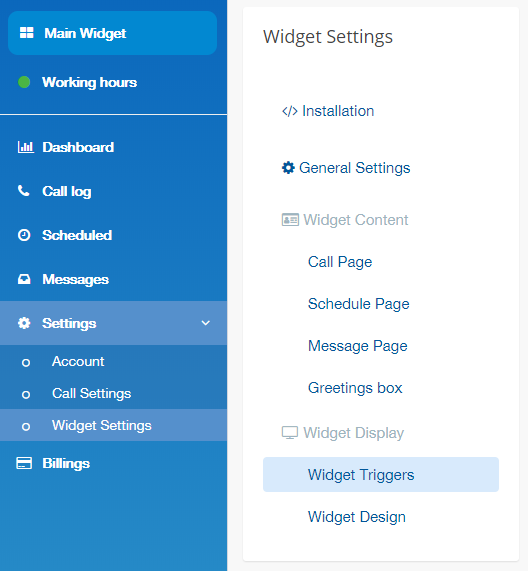 Navigate to "Settings" > "Widget Settings" > "Widget Triggers"
Under Widget Triggers, you can toggle ON/OFF for each triggers. The widget pops up when the visitor scrolls to the bottom of the page. Use Case: Landing pages and blog pages. This is because scrolling to page end is likely to mean that they have read the page/blog and might show some interest in your product/service. 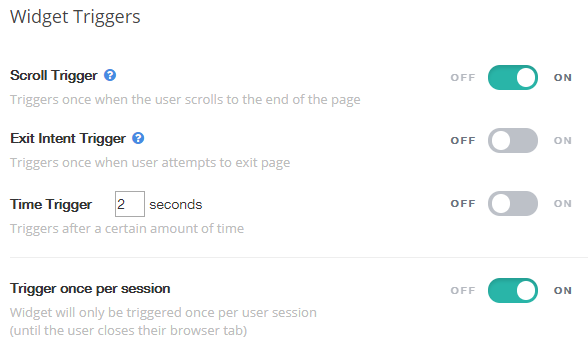 The widget triggers when the visitor attempts to exit page. Use Case: Main pages, pricing pages and other vital pages where potential customers would be making decisions. We'll detect if they are exiting and try to recover their interest with a free callback. The widget triggers after a certain amount of time. Use Case: Squeeze pages with long convincing texts.